Have you ever created something with one idea in mind…had someone look at it and see something totally different? That happened to me recently. I made a shawl for friend as a birthday gift. (I was careful to use colors that were in her palette. If I hadn’t everything would be violet.) 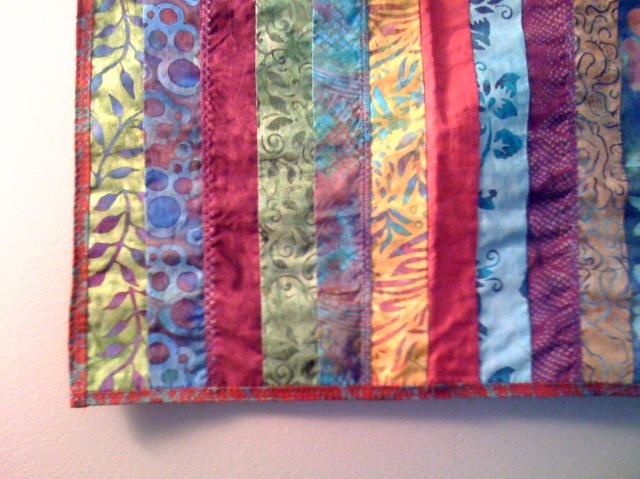 My friend saw something more than a shawl….it’s now hanging in her living room above her couch. I must say it looks great! 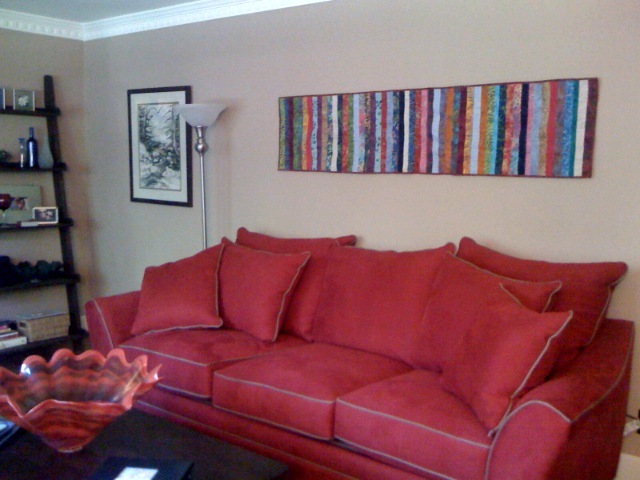 And, how exciting to have a piece of my work hanging in someone’s home!! Below are a couple of pics.